As discussed previously, there are a number of risk factors that increase your chances of developing heart disease. Some of those factors can’t be changed (genetic predisposition, age), some can be modified (controlling underlying medical conditions, like high blood pressure) and some that can be changed (lack of exercise, stress, weight). Today we’re going to talk about one of the things you can change- inactivity. The CDC currently suggests 150 minutes a week of moderate activity, like walking a 15 minute mile or raking the lawn. If your heart rate is up, but you can still carry on a conversation, you’re doing great. That 150 minutes a week can sound daunting – but it’s 30 minutes 5 days a week. It doesn’t even need to be 30 minutes straight – you can take 3, 10 minute walks, if you like. What does exercise have to do with preventing heart disease? A few things. 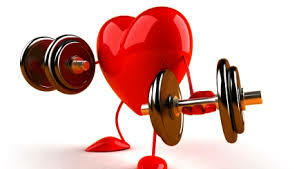 Your heart is a muscle, and like all muscles, it needs exercise to be strong. Regular exercise can encourage better circulation of blood through the heart. It can lower blood pressure and high cholesterol, too. Exercise also offers two other cardiac benefits – it reduces stress and it can help maintain or regulate your weight. Reducing stress reduces levels of certain hormones that can be damaging to your vascular (blood vessel) system. Maintaining a healthy weight can reduce your chance of developing Type 2 Diabetes and can help you control your high blood pressure. So, there are a lot of good reasons to exercise – but how do I start to exercise? There are a lot of ways to start moving. First things first, though – check with your doctor and make sure you’re healthy enough to start. Do you have to spend a lot of money? Absolutely not. You can increase your activity by changing some of your habits. See if you can walk to some of your errands instead of driving. If you can’t do that, park at the far end of the lot at the grocery store. Go for a bike ride with your kids, walk through a local park. Check around the neighborhood, with your church or service organization or with your friends and see if anyone has a walking group you can join. The author working hard to improve her cardiac health. The secret to sticking to an exercise plan is pretty straightforward – find the active thing you love and go! Hike, bike, dance, swim, garden, run through sprinklers – whatever you enjoy is the thing the most likely to get you out of the house. Don’t be afraid to try different things – ask your friends what they do and see if you can work out with them. Check your local Park & Recreation department – many of them offer a variety of programs – and they’re usually reasonable priced. Exercise shouldn’t be a chore – it should simply be a part of your day.